This is an excellent writing and how life changes following TBI. It’s identifies areas that are less likely to be understood. Anniversary: 1. The yearly occurrence of a past event. 2. A celebration or commemoration of a past event. (Dictionary.com) There’s no celebration here. This is the final pages of my letter to my last patient part 4 of 4. This letter in its entirety has clearly identified numerous safety issues without our healthcare system and specifically rehabilitation for neurology and traumatic brain injury patients. Safety is ultimately the concern for all patients and staff. 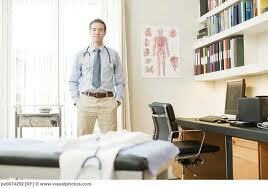 Do healthcare professional overlook obvious symptoms because it is just a “job”? Are patients truly safe? Neither myself or immediate family ever sought legal action against this facility. I was trying to get well and had no energy to do anything else. In retrospect, if we only knew the long-term consequences and had the proper legal advice with authorities looking out for the innocent the outcome would have been totally different. Maybe, it’s what nurses are expected to put up with and the facility is always right. It is your life and medications can help you with specific problems, but you need to be cautious and know what is working for you and what is not. It is up to you to report exactly how you are feeling. On June 30, 2012 we are asking all those to sign-up to register as a picnic day to bring Awareness of Brain Injury to family and friends. There is an estimated 1 billions people in the world with brain injuries of varying degrees, neurological disorders and brain dysfunction and yet education and understanding is lacking. This is considered the first global picnic. Click on the link below for the details. Don’t miss out on this opportunity. This is amazing information about cancer and what’s really happening.